Inspired by the lyrics of Kurt Cobain, Hoopfellas writes about the “comfort of being sad” that can lead the two “eternals” to solve their problems. 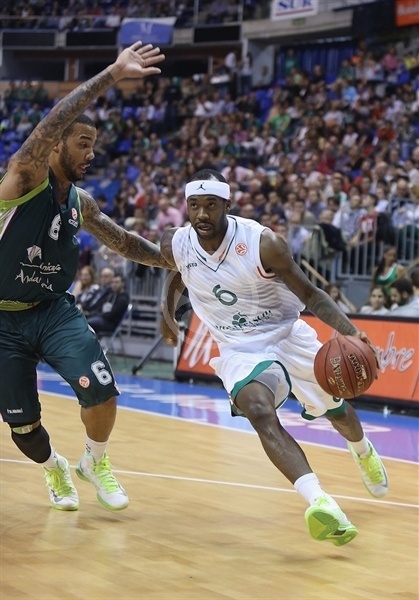 Bobby Brown’s addition to the Olympiacos environment and the “hard part” of redistributing the roles for Panathinaikos as the decisive points of this season…. Is comfort that is included in the sense of sadness the ideal mental background for each of the two adversaries before the big game that’s coming…? Or maybe continuous reflection the ideal “carpet” for a team to walk on the road to success in the final stretch of the season…? Olympiacos were average against Valencia on Thursday. More specifically, against this Valencia team. Olympiacos’ main objectives (pressure on the guards of a team that had no PGs in its roster, up tempo and immediately turning defense to offense, which the “Bats” would not be able to follow) were not achieved. It’s not an exaggeration to say that the difference between the two teams was Vassilis Spanoulis. As I said in my previous comment, I enjoyed every minute of the captain on the floor. The Reds leader got the maximum and took advantage of every little detail of the Spanish defense, which is known to be lacking in speed and athleticism, and get them in much trouble, especially on man to man defense. Olympiacos played a low mistake game, but they showed once again their problems in deployment and creation. It’s a positive thing that, except for the constant Papanikolaou (one of the main reasons why the Reds are in the top spots this year), Milutinov confirmed that he is getting better. Of course, it’s even more important (especially now, with the new format and the competition getting even tougher) that Olympiacos have the know-how to get the Win in nights where they don’t play up to their standards. So, it is my opinion that today –in respect to the Olympiacos analysis- it’s more interesting to focus on the addition of Bobby Brown to the roster, and how it can help the Greek team in the final stretch of the season. My two cents for Sony Weems, who ended up at Anadolu… Olympiacos were indeed interested in the player (regardless of the addition of Brown) and approached him. The 32-year-old G/F initially asked for $150,000 per month. After signing Brown, the Reds came back with an offer for $100,000, while the player asked $130,000. I think that the deal was unsuccessful for non-financial reasons. They never found how to release Hollis Thompson, and the Reds staff had second thoughts about Weems’ character, who is very vocal in the locker room, as Olympiacos’ hierarchy does not leave much room for any new person that comes to the team. The money the Reds had to spend was good. It was the right amount. They shouldn’t have offered more. In my humble opinion, Weems wouldn’t function well within Olympiacos’ game, especially the way this year’s team has been built. I have my doubts about how a defensive-minded coach such as Giannis Sfairopoulos would have been able to absorb this amount of individual offensive skills (with both Brown and Weems) within the productive process of Olympiacos, especially at this point in the season. We know what the coach likes in the market (in terms of player assets) and we reach the conclusion that the fact alone that he approached this specific player, emphatically highlights the great need of his team for slashing and 1 on 1. He is the kind of player that brings instant scoring with his ability to put the ball in the basket and put more pressure on the defense being in attack mode (which is important, Olympiacos must not try to make him change his offensive approach and ask of him things he is not able to do), something that’s missing from Roberts’ package. In this type of offense, a scorer with the personality (the Reds backcourt is missing this very much this season) and the “poison” of Brown, who enters the court to produce and can do this without relying much on his teammates (his unassisted FG number for a big part of his career says a lot, he will certainly be useful). Brown is a scoring-PG, not a pass-first-PG. He gets in the court and he looks at the basket, he “demands” to connect. This asset, together with the experience he got in Europe in the PnR offense gave him a spot in the roster and Spread Pick & Roll Offense of the Rockets. Coming back to Europe, the key will be to show an efficient character in shot selection and decisions. He does not have the advanced playmaking that will boost shooters like Strelnieks or Thompson, but his aggressiveness (and his good ballhandling) may automatically create more space for the Reds snipers, changing the formation of their opponents’ defense. 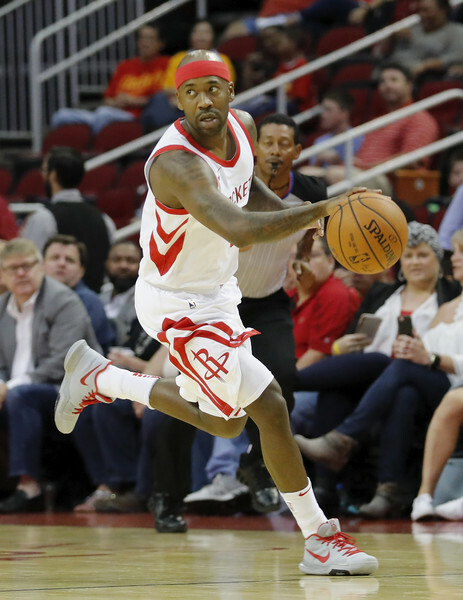 Note: Ok, his friendship with players like Harden, Ariza and Chris Paul played a role (it helped the great Clippers PG to choose Houston) and rumour has it that some people call him “Professional Best Friend”. The truth is that Brown met the criteria to get the job of the third PG, a “1” that gets in the court in garbage time, as NBA teams usually prefer Veterans-Good locker room guys for this part. This second ability leaves open the door of playing together with Spanoulis, as he can take some pressure away from the Reds captain and put it on him. Of course these lineups have the corresponding defensive disadvantages, but we might see them at nights where Brown is hot and the team needs to score against pressing defenses. Brown was never a pure slasher, and he is a bit slower that the player we admired some years ago in Tuscany. His first step is not the same, but it is still at a good level. The big change is in his behaviour when going to the rim. He doesn’t have “those” abilities and efficiency to finish off the contact. 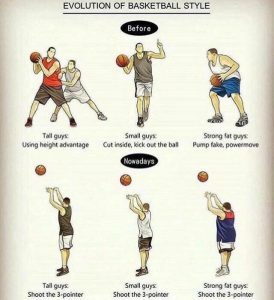 My thought is that in today’s Euroleague, he will avoid these options, although he worked in his floaters throughout the years and he was never the guard that would constantly go all the way to the rim. He relied (in terms of 1 on 1) on is very good crossover and instant execution. In the 2-3 Format of the Reds offense (High Pick & Roll) opposing defenses will be hurt if they choose their big man to Step Back. His pull up jumper (very useful the way basketball is played in Europe today) and mainly his aggressiveness in these situations, together with his quick release (he releases from very low…) are, I think, the first assets coach Sfairopoulos will try to take advantage of. At MPS he was deadly when playing in the middle lane (even though Hackett’s presence allowed him to catch his breath on the weak side) with coach Banchi’s Horns/2-3 High PnR/1-3-1 and multiple isos playing the role of the “carpet”, so Brown can play there with the Italian team getting both its big men in the perimeter so they can increase the space in the paint. Brown in not that able today to finish off the contact, and the Reds staff must have this in mind. Summing up… It’s obvious that Olympiacos accept their mistake in the offseason. Of course, accepting the problem is the first step for solving it. However, I am not sure if they have the right point of view about where they are “hurting”… Brown is a guard that has experience and personality, and the Reds acknowledge their wrong assessment in respect to Roberts. 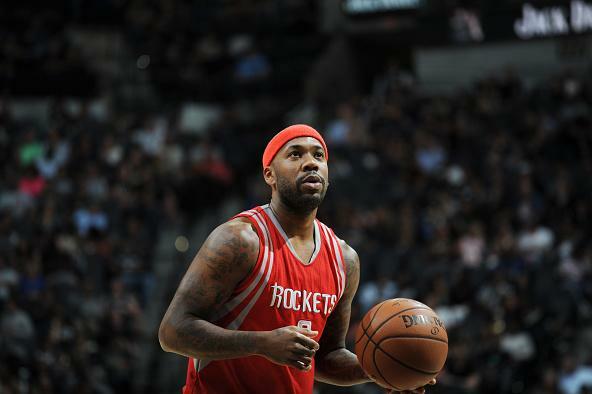 The 32-year-old former Rocket is not the pure playmaker that would bring out the offensive talent of Olympiacos’ roster, he is not the defensive stopper that would support this great defensive construction. With him Giannis Sfairopoulos will try to give his team more “individuality” in their offense, and rely on him, hoping that, coming from the bench, he will be able to cope with his “Keep the Pace” mission. I saw that many were disappointed after Friday’s game. 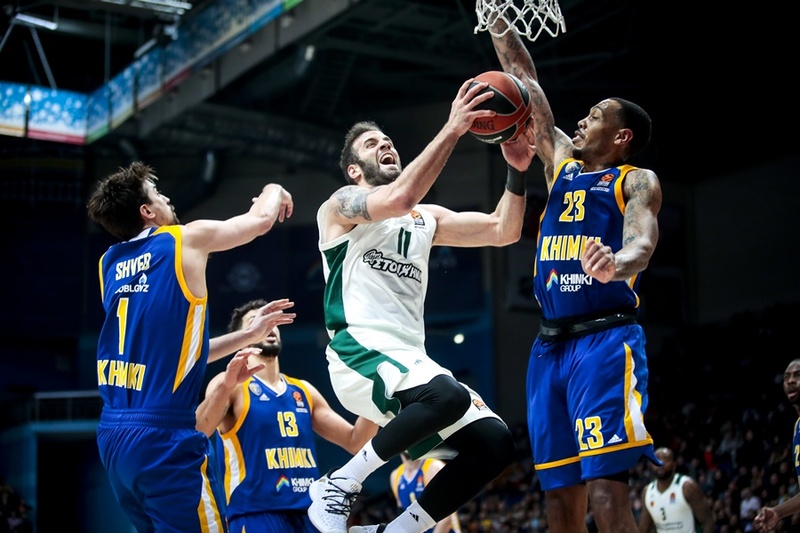 Truth is that Panathinaikos experienced a difficult night in Moscow, and were defeated by Giorgos Bartzokas’ Khimki hands down. Based on the game’s timing, this outcome was more or less expected. Teams that add players that can redistribute the roles often face this problem. The performance of the “Shamrock” was bad, but I was expecting a more critical approach from everyone that has been nurtured by Hoopfellas’ basketball ideals. 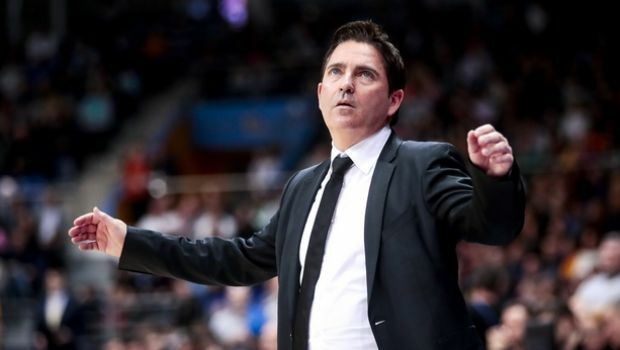 However, Panathinaikos, and first of all Xavi Pascual (he also had a bad night, wrong approach, he run out of ideas in Moscow), at the moment are in the “hard part” of the process of partial restructurion that are occurring with the last additions of the team, especially the one of Mike James, which, in conjunction with Lojeski’s injury, leads to a redistribution of roles in the backcourt. It’s February and coach Pascual has to handle a situation that is similar with the one he had in the beginning of the season, in respect to distributing the roles and finding the “golden ratio” in the team’s rotation. Basically, in a very short term (he has far less time), he has to find what works and what doesn’t within the new context. Remember back in the beginning of the season those poor starting units with Denmon-Lojeski on the wings, until the coach decided that he has to play Lojeski at “2” and Thanassis Antetokounmpo at “3” in the starting lineup, thus finding balance on defense and rebounds, as the Greens looked to control most games from there on. The Spanish coach is trying to “read”. In Moscow he didn’t have a good night. I have to say that when I saw James in the starting lineup, I lied back in my chair and started thinking hard… We had said some things about that in our analysis. I expected coach Pascual to try to absorb as smoothly as possible his two new players in his team, and urged him to give (more than anything in the beginning of this effort) a less “dominant” role to James, which would guarantee a minimisation, as much as possible, of the shock his presence would bring in Panathinaikos’ game. So, I believed that we would see Denmon (since Lojeski was off with an injury again) in the starting lineup, adhering to the rule of perimeter shooting next to the team’s “engine”, i.e. the Calathes-Gist combination. The further we got in the match, the more I got the sense that the coach is trying the “break” and … remould. 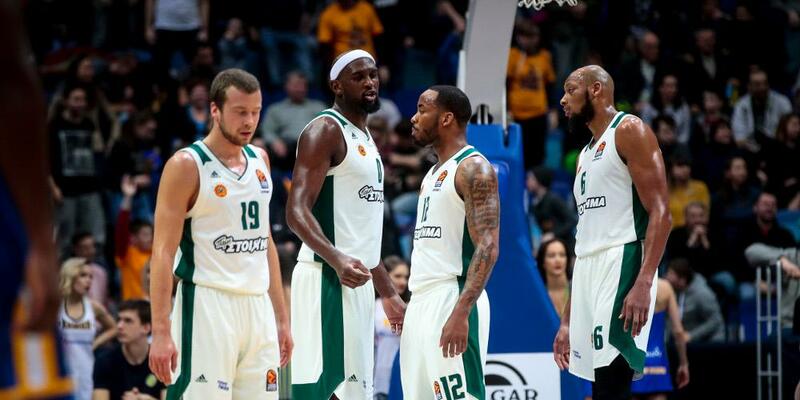 As long as Lojeski remains sidelined, Panathinaikos are still on the same spot. 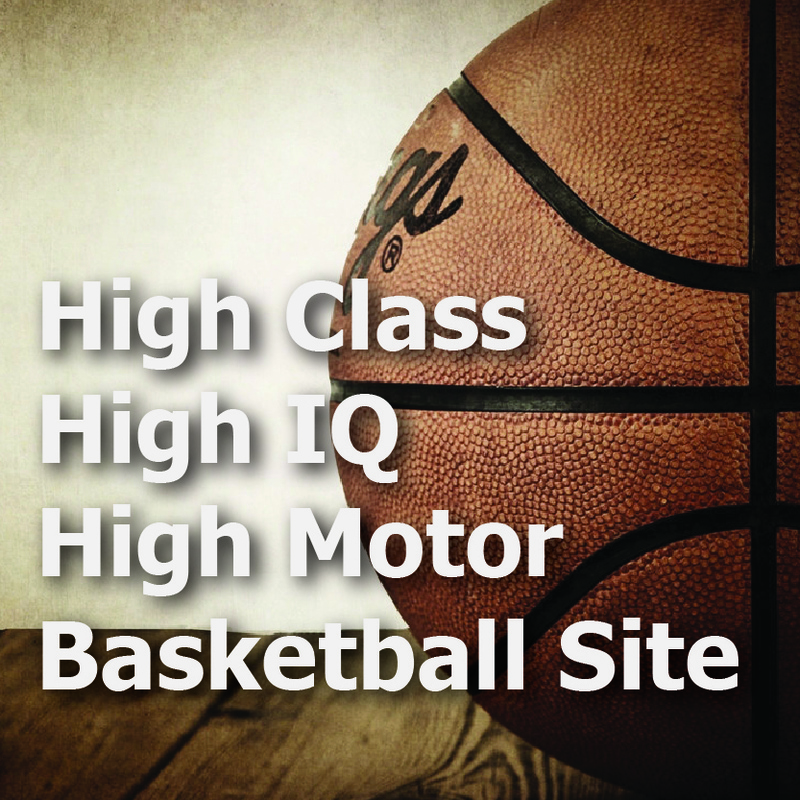 The coach must “read” properly and immediately. I think it should have been taken for granted that coach Bartsokas would have prepared his players to play a very “physical” game. He focused on this part in both visits to Greece, where Khimki was unable to match the Greeks in terms of physicality and was beaten hands down. On Friday, the Russian were more fresh and determined, and beat their opponents emphatically in this part of the game. Keep this in mind as our basis and let’s move to our notes. 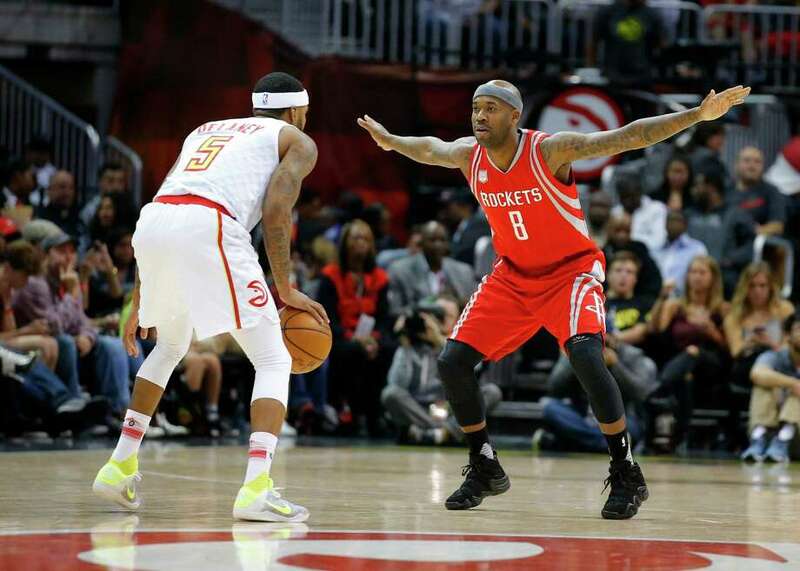 The Greens set up bad, lazy screens throughout the night against a well prepared defense. The home team were great in working against the Panathinaikos Flare for their shooters (both with the ball in the Post or with it in the perimeter) and disrupted the passing angles of the Greens, and together their spacing. The spacing in the Panathinaikos offense, was far from the desired one, and it contributed to their ineffectiveness in terms of execution, while at the same time their opponents’ defense (as the match went on) played close to Pack Line. The duo of Gill-Markovic did a great job. It’s worth noticing how efficiently (after capitalising the length and speed of Malcom Thiomas in “switching”) the Russians involve the third player from the baseline in order to stop the Pick & Roll action of the Greens (great effort and positioning when taking the dive). Gill had excellent timing in his recovers and Markovic-Jenkins destroyed the theoretical miss matches in the low post. -Panathinaikos had their best stretch when they tried (successfully) to get the ball in the low post. I am talking about the second quarter when Vougioukas was on the floor (7 point, 7/8 free throws and 5 rebounds in total). The Greens had 40% in two pointers and this was mainly due to their poor numbers in peripheral shooting. Remember how, before the Greens got Payne, we focused on the ability of the big man the Greens would bring to be productive from the heart of the paint (Post Ups, PnR)… Panathinaikos could not move Khimki’s defense and hurt them at the time it moved. The home team’s aggressiveness prevented the Greek offense from “reading”. We saw many times coach Pascual’s guard asking for a screen (why?) when they were against Shved in 1 on 1 situations, or their big men looking to pass the ball to the perimeter when they had the chance to lock a miss match in their favour in the low post (against Shved again). The performance of the Greek defense in the first 20 minutes of the game was bad. Panathinaikos failed to direct the ball when their opponents were on offense, and “lock” it at the point they had prepared, leading them to execution that would be in their favour. Khimki didn’t do anything sophisticated (which is not necessarily bad), but they executed specific things and insisted on waiting for a favourable situation. Throughout the match they were trying to maximise the available space in Panathinaikos’ key, getting their big men on the perimeter (4out-1 in & 5-out Format). They put three players on the weak side and two on the strong side as an “entry formation” looking to get in the main lane and target the weak side of the Greek defense after it moved. With the ability of Thomas-Gill in getting to the perimeter, they also used screens to target the player that takes the dive (not necessarily a big man) and then exploit the “return” of the third Panathinaikos player from the wing to the lane with a pass for a good look from the wing. They made sure to run ball screen actions with different ballhandlers, keeping Calathes away from this defensive play. Shved had a very mature (for his standards) game and passed the ball in the right timing. When the Greek defense activated “deny” against him, the home team did not score for three minutes. However, neither did Panathinaikos. It was obvious that after a time coach Pascual tried to “shock” his team’s offense, a bit clumsily I might add. The Lekavicius-James-Denmon lineup was maybe looking for a Drive& Kick approach (he just wanted to change the players of peripheral execution and find a couple of good shots), as this was a suicide on defense. In his premiere Mike James took more shots than anyone else, he failed to see passes that may have unlocked the defense, although it seemed that he wanted to be more controlled. However, this is his nature. The nature of the scorpion that climbs on the back of the frog to cross to the other side of the river and stings him midstream (knowing that they will both drown), because this is simply his nature. Pascual gave him 2 on 2 actions on the wing, combining his game with Singleton’s Pop-Out (more space for a drive for James) or Gist’s Roll (with James’ slashing abilities leading the opponent to “switch” on him and a favourable miss match for the Greens in the Low Post), but it’s obvious that the “Shamrock” must choose carefully the actions they will activate in their offensive playbook when the 27-year-old guard is next to Calathes in the backcourt. Lekavicius and Pappas were non-factors in the game and Calathes was bad, which affected the entire team’s offense. Payne seems to be willing, but his low perception level requires time. He still can’t read his opponents (he can’t recognise when a situation is favourable) and the way the game is played here. What we saw from the new version of Panathinaikos after the two additions may be a cause for concern for his fans; in addition it brought a new status in terms of standings. However, with the right management, it can be the ideal “carpet” in light of the great matchup against Olympiacos on Friday. Teams that react with their backs against the wall are teams with a good coach, as we’ve said in the past. It will be a match with countless stimuli from both teams. Do you have anything else to focus on this week…?